10 adorable baby toys to make for the baby in your life. A baby really couldn’t care less if the toy is designer and costs loads of dollars or is made for a fraction of the cost! 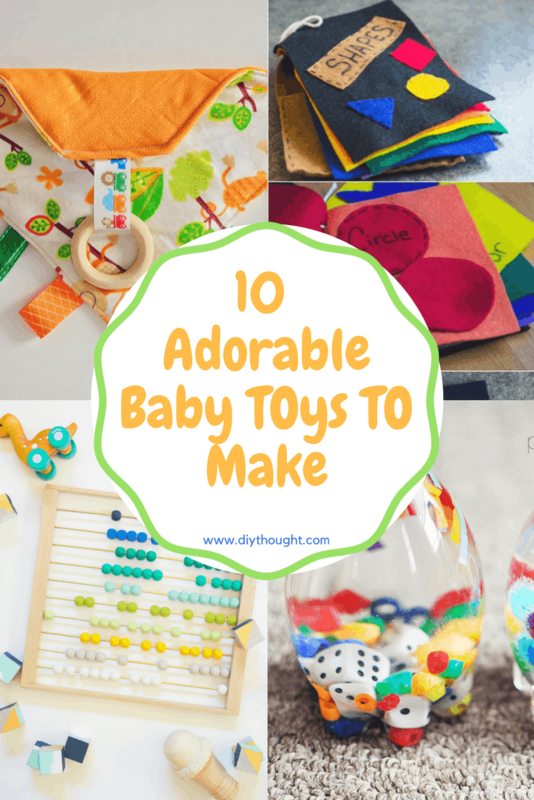 Homemade toys make great gifts that come from the heart and something different from a store-bought item. Be certain when making anything for a baby that all parts are well attached and it is free of chokeable parts. 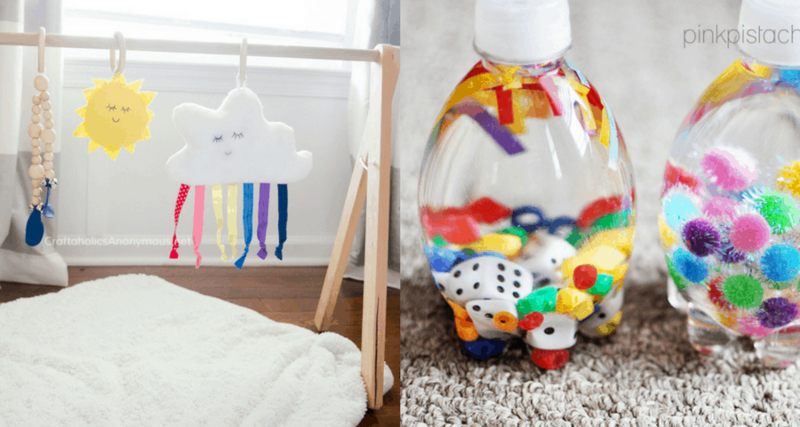 Read on to see some of the best diy baby toys around! 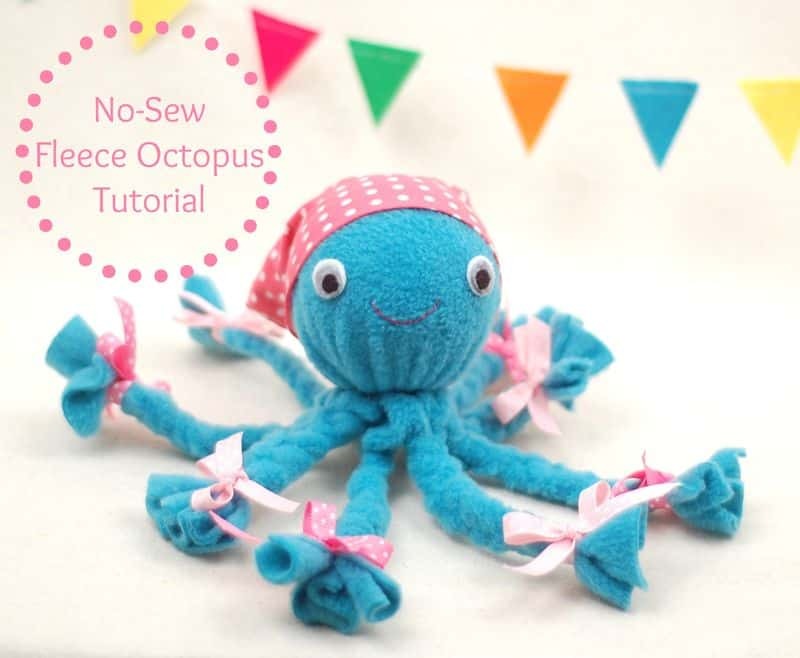 This adorable octopus is very simple to make! Stitch the bows on for extra security for babies who put everything in their mouths. Click here to get the full tutorial. This is a baby toy that an older baby can help to make! 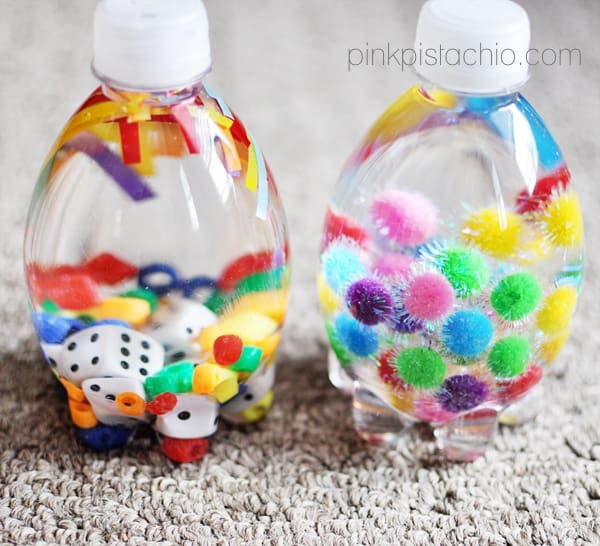 Pop items of interest into a bottle, fill with water and glue on the lid then let the playing begin. Click here to get the full tutorial. 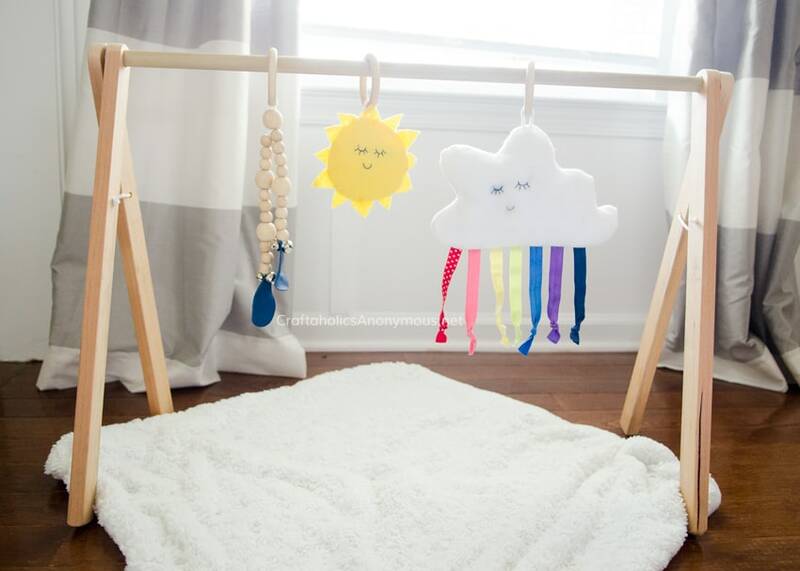 A mobile can be used from birth and is great for decorating rooms and distracting a diaper changing time. Follow this link to find out more. 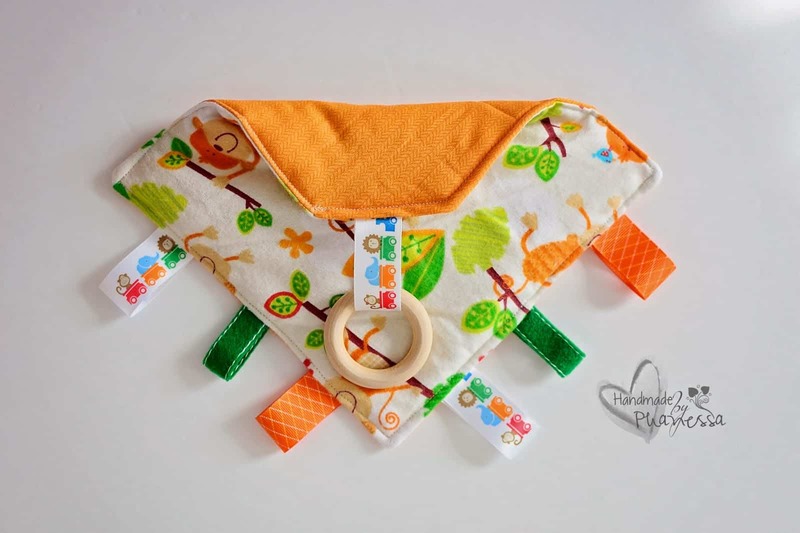 This baby taggy with teething ring will keep little ones entertained and are perfect for the teething stage. Get the full tutorial here. This amazing tutorial comes with directions on how to make the entire gym! The frame, the rainbow cloud and both of the other toys. You couldn’t buy a better baby gym! 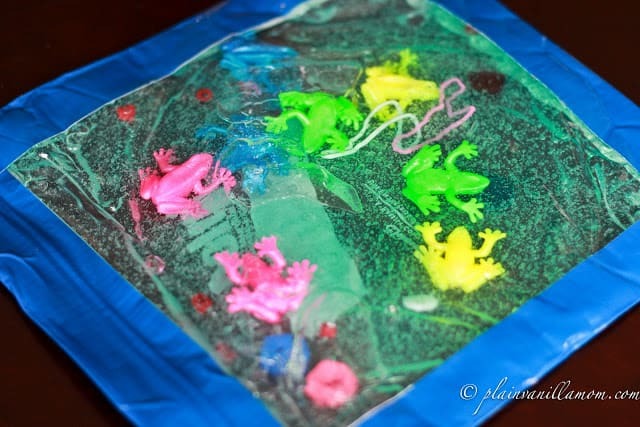 This is a super fun sensory toy but make sure to supervise your little one. Hair gel is put into a snaplock bag along with other treasures before the sides of the bag are secured with duct tape. Click here to read the full tutorial. Great for older babies and helping them to recognize shapes and colors. Even the most sewing challenged can make this adorable book. Find out more here. 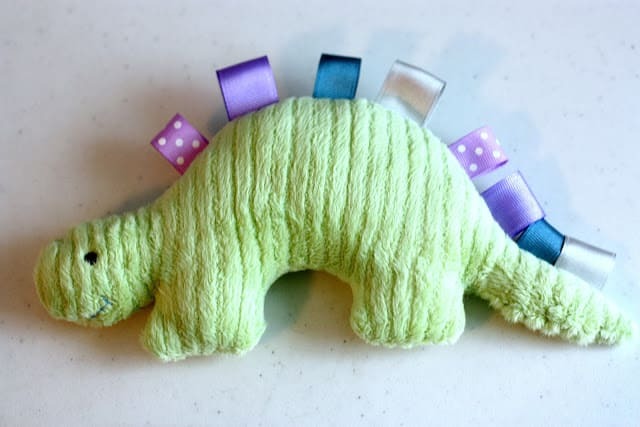 The cutest stegosaurus in town! 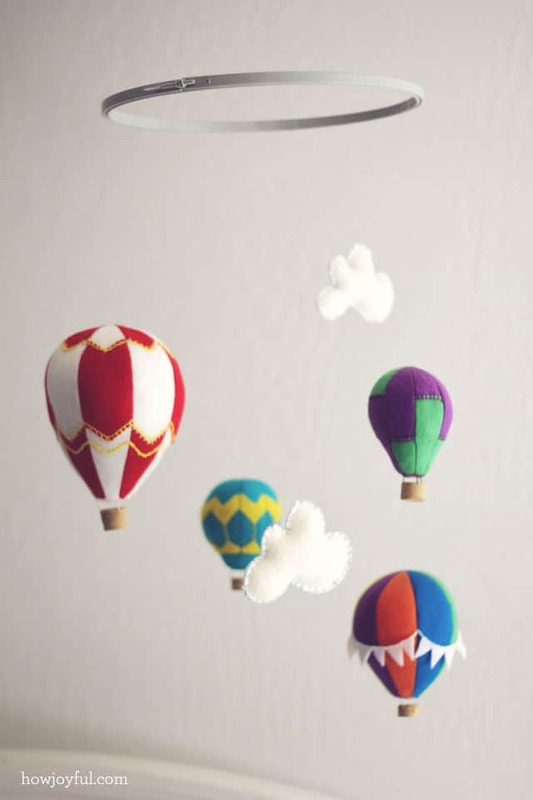 Head over to Bubbles And Bobbins to get the free pattern. Squish them, stack them or put them into a container and out again. 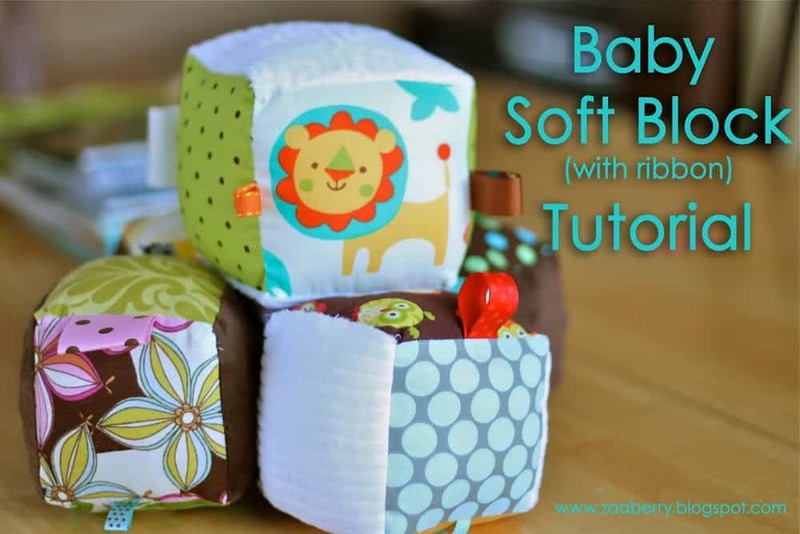 All babies are going to love these soft blocks! Follow this link to find the full tutorial. Useful from young to old. 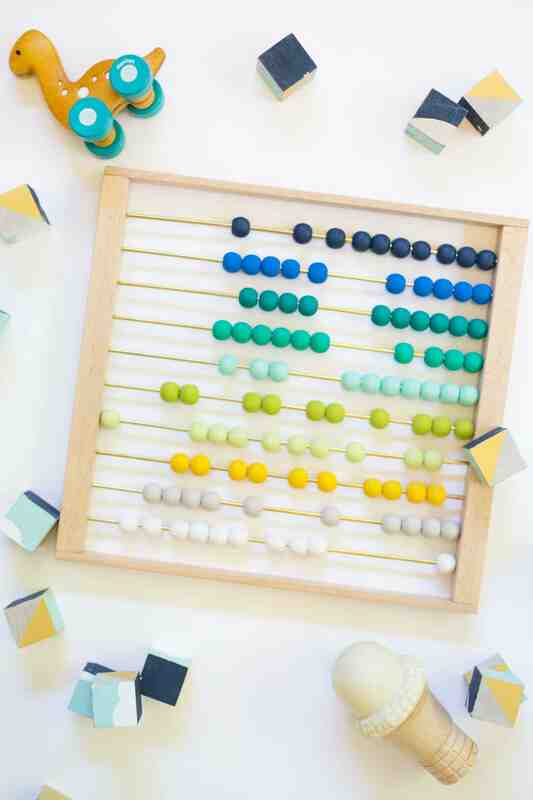 This ombre abacus looks ultra stylish, perfect for any designer nursery. Click here to find the full tutorial.